TM is a probabilistic random sequence generator based on the research of Alan Turing. His Turing machine was a mathematical model of computation that could, in theory, create any output based on a set of instructions and input variables. In a similar way, the TM chooses random values for steps in a sequence based on the user's probability settings. By manipulating probability and sequence length, the module can generate an infinite number of sequences. 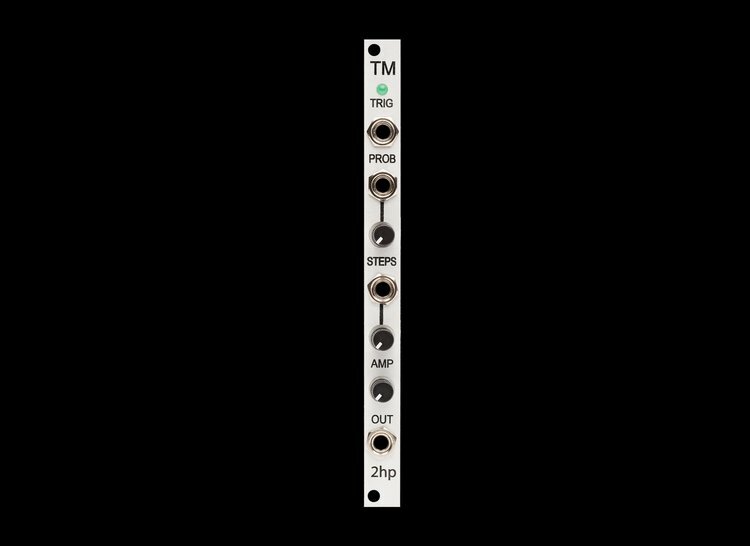 Whether you're looking for a controlled random source, or an evolving melody generator, TM has you covered.